Benefiting from Dujiangyan Irrigation Project which was constructed in 256 B.C., Sichuan Province is reputed as the Heavenly State, Tian Fu Zhi Guo in Chinese, literally a place richly endowed with natural resources. Chengdu, as the capital, is extremely productive. The Min and Tuo Rivers, two branches of the Yangtze River, connected to 40 other rivers, supply an irrigation area of more than 700 square kilometres (270.27 square miles) with 150-180 million kilowatts of water. Consisting of abundant mineral resources, the land is extremely fertile. Airport Location: Chengdu Shuangliu International Airport is located about two kilometers (about 1.2 miles) east of Shuangliu County, about 16 kilometers (about 10 miles) away from downtown area. Taxi: The taxi fare is about CNY80-100 from the Airport to North Railway Station, about CNY60 to East Railway Station, and about CNY20-30 to South Railway Station. Usually, you can negotiate the price with the taxi driver. The acceptable bargain price is about CNY50 by taxi to the city center area. Metro: With the opening of metro line 1 in September, 2010, Chengdu metro system commenced the rail transit history in western China. Nowadays, Chengdu metro line 1, line 2, line 3, line 4 and line 10 have been in service, measuring around 140 kilometers (87 miles) and including 100 stations. Metro line 5, line 7, line 8 and line 11 will operate in the future. By 2020, another 10 lines will develop in the city which will make metro transport accessible to the city's East Railway Station, West Railway Station and Shuangliu International Airport. Chengdu Sightseeing Bus: Chengdu sightseeing buses are convenient for independent travelers. They can take passengers to the most scenic spots in or near to Chengdu. Running directly between two appointed sites without stops, they are time-saving and more comfortable than regular city buses. However, the ticket is usually sold with the entry ticket to the scenic spots and sometimes with the guide service (bilingual in Chinese and English) onboard and inside scenic spots. However, it is better value than taking a taxi. Passengers can also take some of the lines for free at appointed times after buying the entry ticket to the attractions. 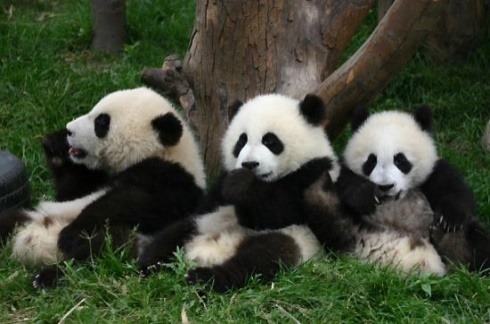 The Chengdu Research Base of Giant Panda Breeding specializes in baby pandas and their care. It has been created and imitated the natural habitat of giant pandas in order that they might have the best possible environment for rearing and breeding. Chengdu Panda Base not only takes care of breeding pandas, but also focuses on providing interactive activities that teach people about pandas and their protection. Besides cute giant pandas, there are also red pandas, black swans, and peacocks in the base. Therefore, when visitors from home and abroad come to Chengdu, this is one of the most popular destinations. And it's a must-go place when you go to Chengdu. 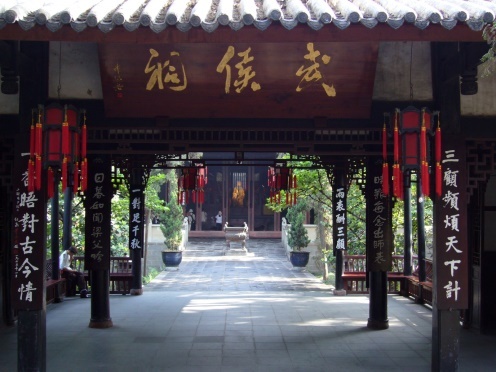 Wuhou Temple, also known as Memorial Temple of Marquis Wu, is dedicated to Zhuge Liang, the Marquis Wu (Wuhou) of Kingdom of Shu in the Three Kingdoms Period (220 - 280). Zhuge Liang was the personification of noble character and intelligence. Memorial architectures erected in many places after his death include a famous one in Chendu. Located in the south suburb of Chengdu, Wuhou Temple covers 37,000 square meters (398,277 square feet). The date of its establishment is unclear, only that it was built next to the temple of Liu Bei, the emperor of Shu. 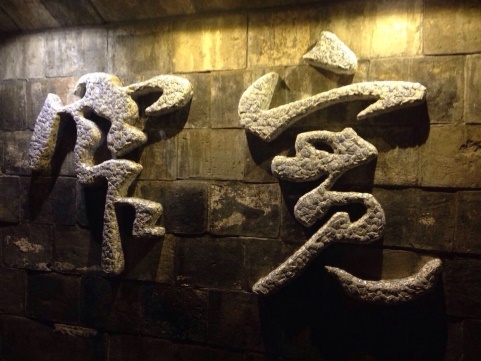 It was combined with the Temple of Liu Bei at the beginning of the Ming Dynasty; consequently, the entrance plaque reads 'Zhaolie Temple of Han Dynasty' (Zhaolie is the posthumous title of Liu Bei). The current Wuhou Temple was rebuilt in 1672. Surrounded by old cypresses and classical red walls, it evokes nostalgia. 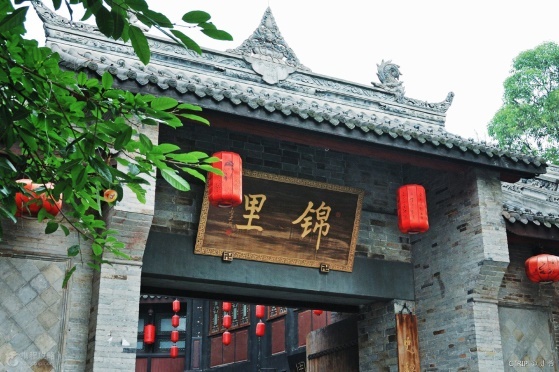 Chengdu is a city brimming with a strong leisurely ambience with Jinli Street as the typical representative. The street is located to the east of the Wuhou Temple of Chengdu. Here are many traditional-style buildings, restaurants as well as sidewalk booths offering local snacks that will make your mouth water.